Today I’m sharing this Public Domain Dinosaur Bones Image!! 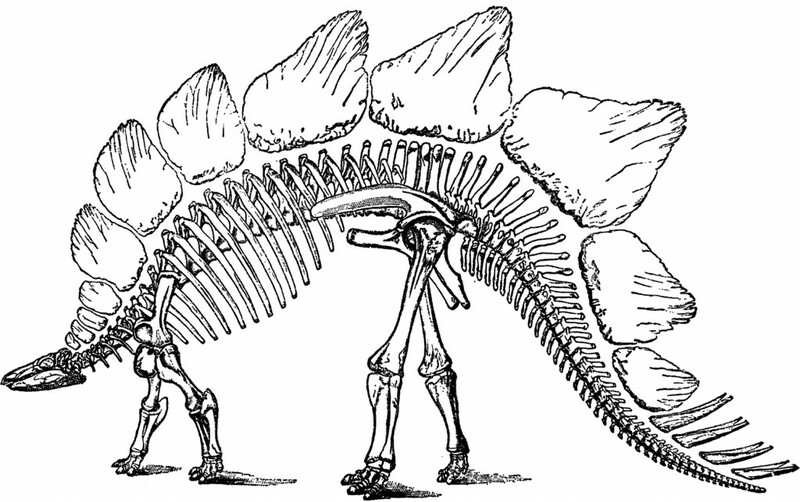 Shown above is a Black and White Illustration, of a Dinosaur Skeleton, this one is a Stegosaurus! I’ve had a hard time finding Dinosaur Fossils, so I was excited to finally get my hands on a collection of these! You might like a similar graphic from HERE. This one was scanned from an 1895 book plate of Extinct Animals. I’ll be sharing more of these soon! 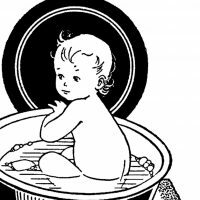 Vintage Baby in Bath Image – Cute! Bacon and Eggs Breakfast Image! Vintage Happy Child in Top Hat Image! YAY! My kids love dinosaurs…I see iron-on T-shirts in our future! Thanks Erin! Hope you’re doing well friend! I miss you!